A Shoreham man has been charged with allegedly posting offensive posts on Facebook, a police spokesperson has said. Nigel Pelham, 40, unemployed of Freehold Street, Shoreham has been charged with eight offences of publishing threatening written material intending to stir up religious hatred on dates between February 24, 2015 and November 16, 2015, the spokesperson confirmed. Pelham was arrested on March 30, 2016 after reports were made to police on March 21, said the spokesperson. 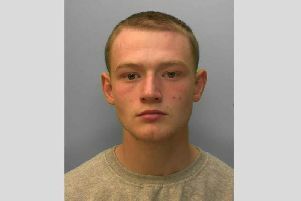 He is due to appear at Worthing Magistrates’ Court at 10am tomorrow (Tuesday, February 7).